Here are the Creedence Clearwater Revival songs from our online karaoke song library that are available to sing and record. Free songs are flagged with a blue label in the search results below. 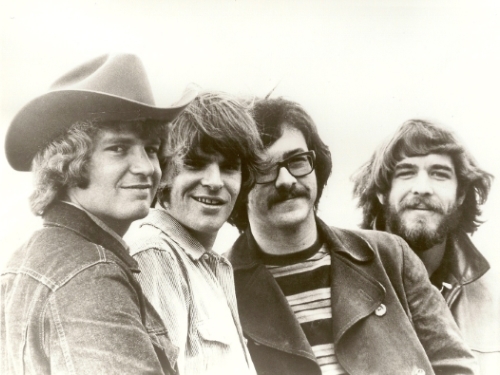 Originally from the San Francisco (California, USA) area, CCR's music had a more Southern Rock sound and feel to it. Most people are not aware that CCR played at the original 1969 Woodstock music festival, mainly because John Fogerty felt their playing was underwhelming and did not want to be included in documentaries of the event. Inner turmoil among the band, notably the dissatisfaction of band members over leader John Fogerty's dictatorial style led first to brother Tom's defection and ultimately led to the break up of the remaining 3 members. Despite a brief, but meteoric career, the band's music lives on and is still a radio staple.